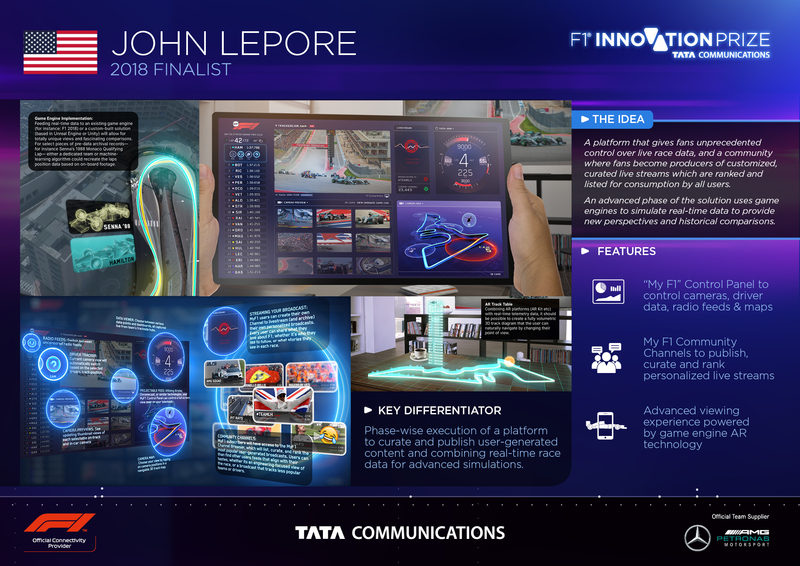 Taking part in this year’s Tata Communications F1® Innovation Prize is John LePore, from the United States, who has been selected as one of the five finalists. We spoke to John to find out more about his submission. 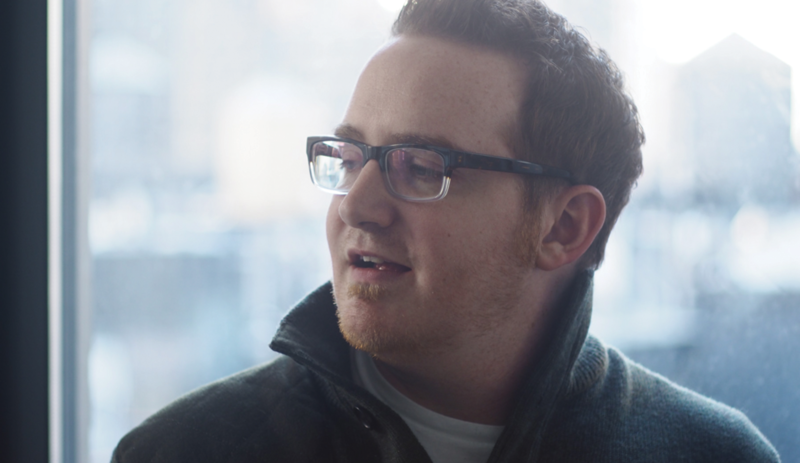 As a long-loyal fan of F1®, John visualized a new way to deliver content to fans and audiences. In his entry, John is hoping to “give fans unprecedented control over live race data, and a community where fans become producers of customized, curated live streams which are ranked and listed for consumption by all users. An advanced phase of the solution uses game engines to simulate real-time data to provide new perspectives and historical comparisons,” says John. As a child, John would be awoken early morning by the sounds of F1® races being broadcast into his home, that his father and uncle would be watching. Since then, watching F1 has been a weekend morning staple for him. “My approach was inspired by modern content creation tools and culture, as well as creator-driven streaming platforms. Beyond that, I’m enormously invested in emerging technologies, and unexpectedly human ways of combining tech with our lives,” explains John. But going forward beyond just this competition, and looking at the future of how F1® broadcast and content delivery could be changed, John has three goals for his submission. “To make the F1® broadcast as innovative in global sports broadcasting as F1® is in motor racing. To create more nuanced and specific engagements for a new generation of viewers with more specific tastes. Was this a solo project? One thing that’s been abundantly clear when talking to the five finalists, is that while the $50,000 prize money is very much welcome, it’s the chance to put people’s skills to the test and, potentially, change the way F1® is broadcast that spurs people on the most. To stay up-to-date with all the latest entries of the 2018 Tata Communications F1® Innovation Prize, #tatacommsf1prize on social media.